Castelvania has long been of interest to those obsessed with the elaborate structures of old. In the latest game Castlevania: Lords Of Shadow – Mirror Of Fate, Gabriel Belmont has become Dracula. 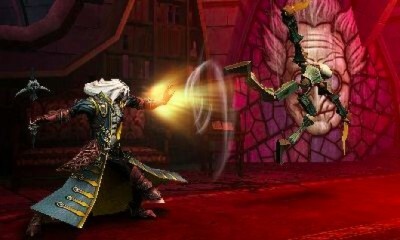 The 3DS outtake of Castlevania will see Belmont play the bad guy after he saves the world in the original. The sequel to Lords Of Shadows though, will see Gabriel keep his good guy image. The caste itself is quite well made. It has a large theater with most of the usual suspects. It also has an abandoned mine and a scary toy shop. One can keep markers on maps so that you can remember road blocks and other such things. The cameras will move around quite frequently, causing you to realize how small you are in comparison the the set. This will give you a feeling of vastness. The story line is quite convoluted and twisted though and this detracts from the appeal of the game. There are three protagonists in this game and they all have their own stories of avenging deaths. This creates a feeling of messiness that cannot be denied. Overall, even though the story does not quite fall in place Mirrors Of Fate is an engaging game and it would be worth the effort to get through it.